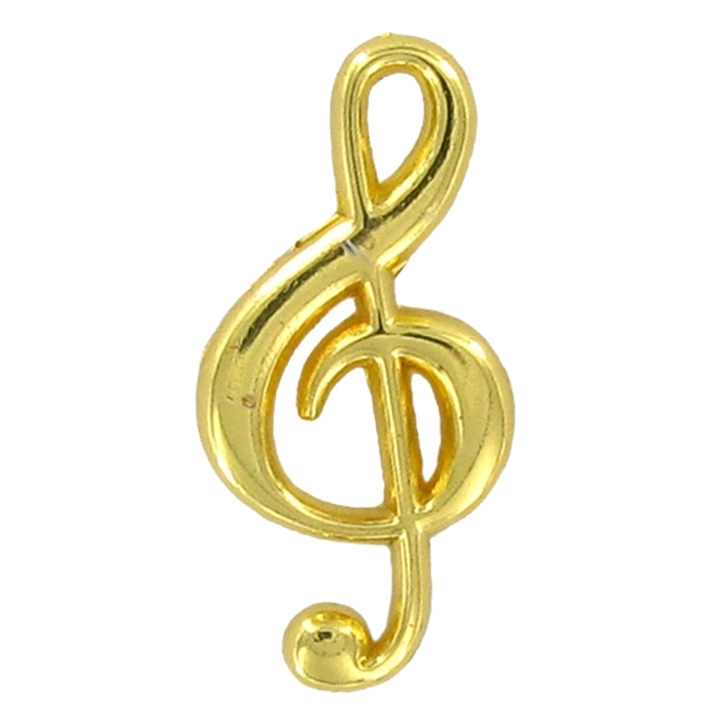 Our Polished Gold Music Note Pin is sure to show your enthusiasm for music. Approximately 1" long. Polished gold toned metal with clutch pin back.